MDSi (http://www.mdsiinc.com/) announces their appointment of several key leadership team members strategically selected to position MDSi for future success. MDSi’s goal is to “stay ahead of the curve” from a technology perspective and hire the right leadership team members to drive the overall product and professional services portfolio. “We are beyond excited about our future and exceptional talent joining the MDSi team. This additional leadership positions us extremely well for immediate growth and expansion into new areas of the network industry,” said CEO Lisa McDonald. Cari will be responsible for developing the overall sales strategy and will assume ownership of the company’s revenue and gross margin goals. As President, Cari will be spending her time focusing on customer facing engagements and executive positioning within new and existing accounts. 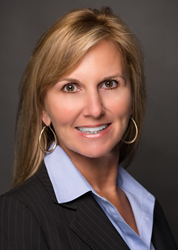 Cari comes to MDSi from Prosys Information Systems as the former EVP of Sales. She has 15 years of experience in the technology industry and a very successful track record in sales and team leadership. Her credentials also include a B.S. in Accounting and 4 years in the military during the Gulf War. As the SVP of Professional Services, Tommy will be responsible for development, delivery and growth of the overall product and professional services portfolio. Tommy joins our organization from Prosys Information Systems where he led a team of 120 direct reports within engineering. Tommy also spent 6 years with Cisco Systems and currently resides on their Technical Advisory Board. His credentials include a B.S. in Engineering from Lawson State and a successful track record of leadership and exceeding quota expectation. Headquartered in Alpharetta, Georgia, MDSi is a Global IT provider of product and services focused on providing innovative solutions that support the entire lifecycle of the product. MDSi’s customer base consists of the largest service providers, MSO’s, enterprise and data center environments in North America. For more information email MDSi at marketing(at)mdsiinc(dot)com. MDSi Expands Its Leadership Team!